I adore these shorts and have just made a pair in just a few hours. My little girl is twirling around in them now and telling me what other fabric she would like them in. I was thinking the other day how I would love to make a pair of easy shorts to kick around in and the next day I stumbled upon this pattern. I made a pair and love them…..and you have sizes for everyone. Quick, easy, and an affordable gift for kids as well as adults that you can customize for any personality. thank you. Thanks for writing in. This is a great question! All seam allowances are included on the pattern pieces and are specified within the written pattern. Please let me know if you have any other questions as you work on this project! hi there, these are lovely! i may be being a bit silly here but where is the actual pattern as it says to follow the templates but i cannot find them any where? There are two pattern pdfs: One for kids and one for women. The links to the patterns are the last items listed in the material lists under the “Kids” and “Women” titles. Fabulous and quick pattern. Thanks a lot. 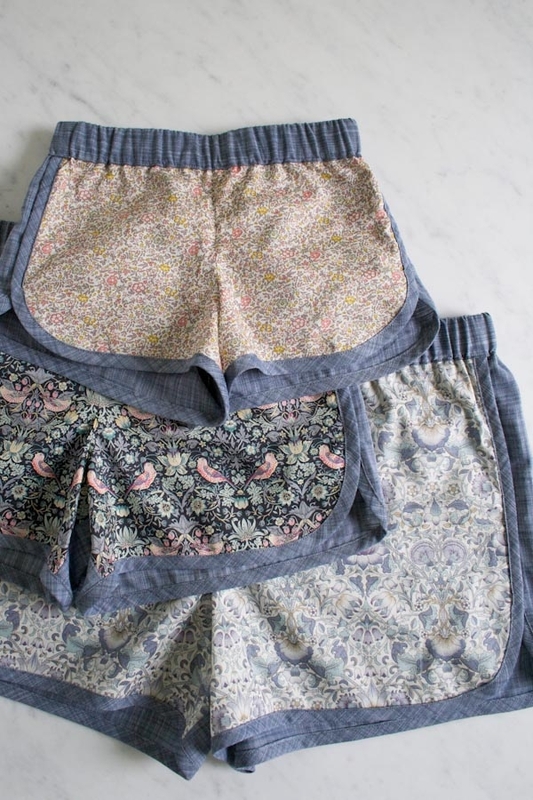 I’m sewing up a few this week to wear as great summer jammies! This is a GREAT tutorial! I love the look of the waistband. Thank you for taking the time to share this. Each time I try to print this pattern, I don’t get all the lines. I have tried color, B+W, everything! Any ideas? Many of our readers have had this same issue. In the end, what we found was that in order to resolve the printing issue the secret is to download the pattern first and then print (rather than opening the PDF in a browser window, which is what happens with a simple click on the link). When you click on the pattern link use the “right click” or “control click” option on your mouse or keyboard and this should give you the option to “Download the linked file”. Once the file is downloaded, it should print like a charm! I love this! Just whipped up a pair in the 35-37″ size and they fit like a dream in the waist but are much too tight (like seam-splitting tight) in the rear. I want to make another pair, but am uncertain about alterations. Should I go up a size but use the elastic length for the 35-37″? Or is there a better way to alter the pattern? I’m sorry you have found the shorts are too tight! I think your suggestion of going up a size, but keeping the shorter elastic length could work very well. If you have found that you like the fit in the front, but not the back, you could also try going up a size in the back only. However, this adjustment would require some alterations in the Shorts length and Waistband as well. I have tried downloading the pattern and I still cannot get the lines to print. Not sure what else to do. 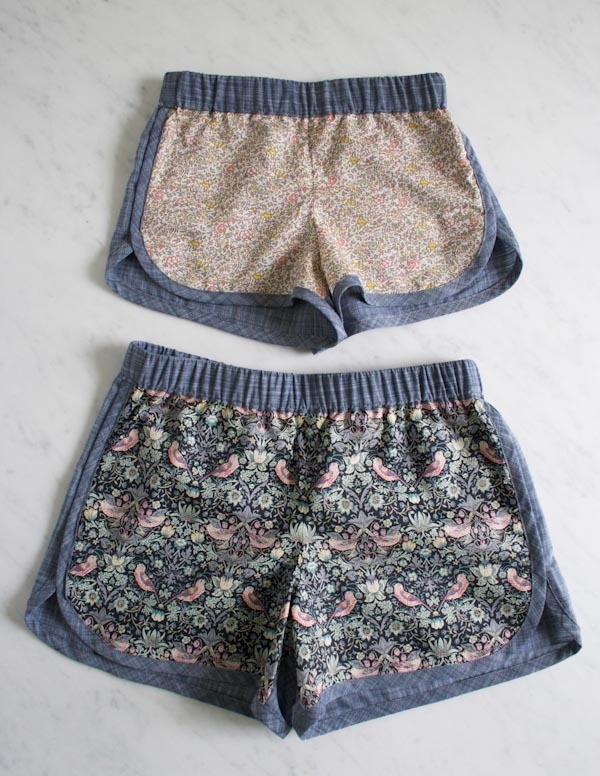 Really want to make these shorts for my two youngest girls. The middle parts of the lines print on some of the pages, but none of the lines print on page 1 and page 4. I’m sorry the pattern still isn’t printing properly for you. I’m not sure what could be the problem. I will email you directly with the PDF and see if that helps! Are there five layers of fabric in the waistband? Or am I reading the tutorial wrong? If it is actually five layers thick, does it get bulky with all that and elastic, too? You are reading the instructions correctly, there are 5 layers of fabric in the waistband. I haven’t found that it feels bulky, and actually like the structure that the extra layers provide. 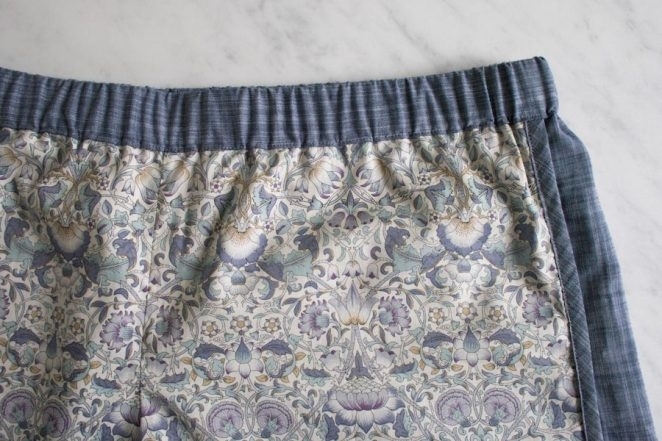 However, if you are using a thick fabric for your shorts and are concerned about this extra bulk, you could use a lighter weight fabric on the waistband and should have no problems! 2. would it be possible to make them out of knit? If so, would you recommend to downsize? Or change anything else? Thanks for writing in. These are great questions! 1. The shorts are designed to have about 2-3 inches of ease, so they are not especially loose. 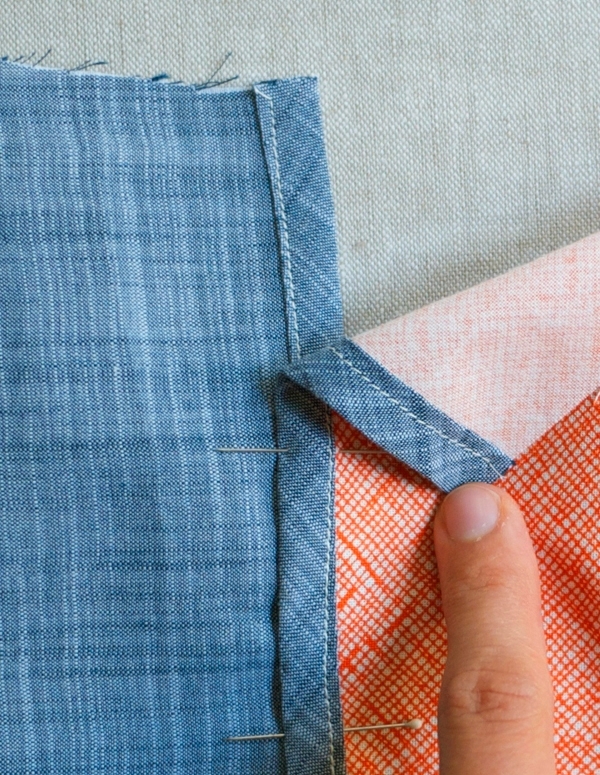 Choosing which size to make will depend on your preferred fit. If you do size up, you can alway adjust the length of elastic as needed to make sure that the shorts fall where you’d like on the waist. 2. I do not have much experience working with knits, so unfortunately I can’t answer on this subject with much authority. However, if I were to try these with a knit I think I would follow the pattern as written. Because the shorts are designed to have a closer fit, I would not downsize unless you wanted to make them quite fitted. Love these!! I just made some shorts with a fold-over top since I can’t find any comfy maternity shorts. I will have to try that with these! Hi, I’m trying to print a 3 year old size and it doesn’t fit together at all. There’s a large gap between pieces 1 and 3 and 4 and 5. What can I do to get it to line up? I had no trouble with the adult pattern. I’m sorry you’re having trouble with the City Gym Shorts pattern template! It sounds like the issue might one of two things. 1. The template for the City Gym Shorts in Kids’ sizes is divided into 3 pieces (rather than 4, like the adult pattern). When you are piecing the Front together, it can be helpful to first tape piece 2 to piece 3, and then tape these pieces together to piece 1. When you are piecing the Back, first tape piece 5 with piece 6, and then tape these together with piece 4. 2. It could be a problem with the length of pieces 2 and 6. I know that some of our readers have had issues with some of the lines of the template not printing, so I wouldn’t be surprised if you had this issue as well. Please check on your pieces to make sure that all of the cutting lines are there. In particular, there should be a straight line on piece 2 that runs directly above the text “attach to piece 1”. Piece 2 should attach to Piece 1 along this line. Similarly, there should be a line on piece 6 that runs directly above the text “attach to piece 4”, and the two pieces should attach along this line. If this seems to be the issue, we have found that the secret is to first download the pattern and then print it. Rather than simply clicking the link and opening the PDF in a browser window, you should click on the pattern link using the “right click” or “control click” option on your mouse or keyboard. This will give you the option to “Download the linked file.” Once the file is downloaded, it should print like a charm! Brilliant pattern! Thank you so much. I can’t wait to make another pair. I have a 12mm and 25 mm bias tape maker. Would these work just as well as the 18mm listed above? This is a great question. The best way to know is to give it a try and find out! 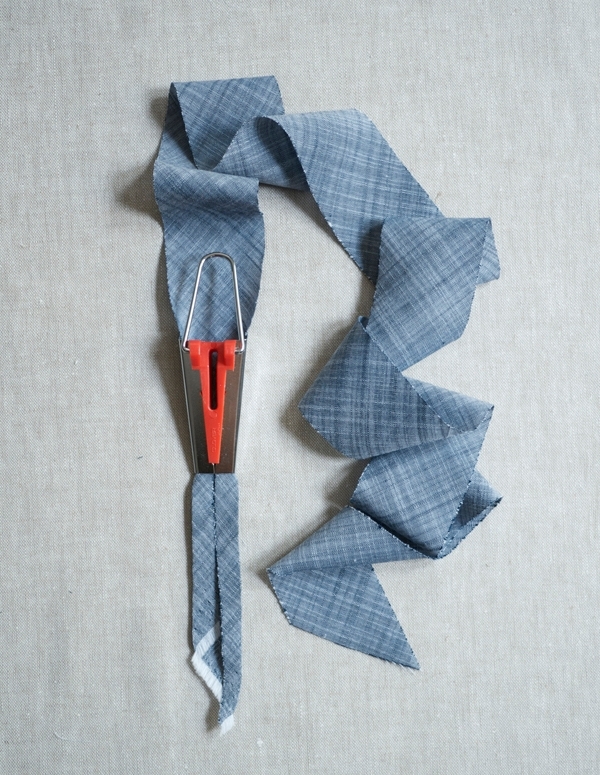 I recommend using a scrap fabric to make a small length of bias tape in both sizes. Try wrapping these around a curved hem (like the side edges of the shorts) and see what you think. I bet the 25 mm bias tape will work great! Thanks for the lovely pattern! If I were to add an inch or two vertically to the shorts would I need to make any other changes, other than more fabric? I generally favor slightly longer shorts than most stores sell, and this would be a perfect alternative! Adjusting the length of the shorts should be an easy fix. 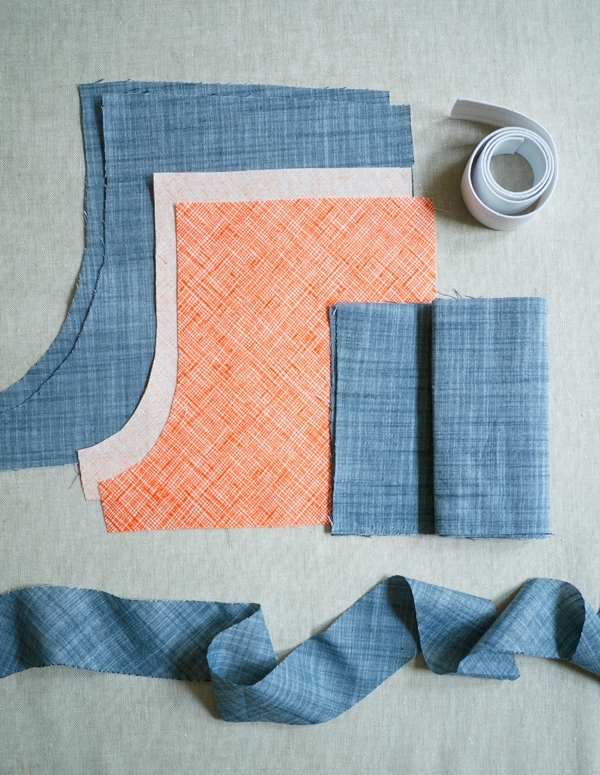 Be sure to add the same amount of length to the inseam of both the Front and Back pattern pieces (rather than to the body of the shorts), and blend the cutting line through the added length. This may require redrawing the tulip curve on the side edge of the pattern pieces, depending on the size you’re working with. You will also need to adjust the length of the bias tape strips. I hope this helps! Please let me know if you have any other questions as you work on this project. I adore these shorts and made them for the first time tonight. I can’t wait to make many more pairs!! I have also found the, um, bum to be a bit snug as several other commenters have noted. I wondered if I cut the fabric pieces out incorrectly as far as direction of stretch? Which direction should the stretch go on the pattern pieces? Thanks for the help! Iï¾’m sorry you have found the Shorts are too tight! I cut my Shorts with the side seams running straight along the grain, and the width of the shorts on the cross-grain. 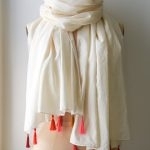 Depending on the fabric you use, this could add a little bit of give and stretch. If you are uncomfortable with the fit of the shorts you made, you could try going up a size, but keeping the shorter elastic length to fit on the waist. Or, if you like the fit in the front, but not the back, you could try going up a size in the back only. However, this adjustment would require some alterations in the Shorts length and Waistband as well. Love, love, love! I am just getting back into sewing after a LONG absence and this was just what I needed. I extended the inseam an inch and they are perfect and so comfortable. Thanks for helping me get my sewing confidence back! I’m trying to download the pdf file for the women’s and nothing happens when I click the link. I am so sorry the link is giving you problems. When you click the PDF link, it should open a new tab or window in your browser with the pattern. If it’s not doing this, you can try using the “right click” or “control click” option on your mouse or keyboard. A window should appear next to the link with short menu. I recommend choosing the “Save Linked File” or “Download Linked File” option. If this still doesn’t work, please let me know! Hi there! When I found your tutorial, I fell in love. I wear gym shorts all the time at home, in the garden, working with the chickens, etc. and all mine are just worn out. So I went and got new fabric especially for this project. I also bought double folded bias tape for the edges, which worked perfectly. I wish I could include a picture to show you how adorable these turned out for me. I haven’t read many comments, but I did want to say that I measure at 39″ at the hips and ended up going to the next size up (41″-43″) and just tightening the elastic a little bit more. This works great. I also put an inside pocket on each side to carry my phone around in. Thanks for the tutorial! I would love to make these shorts! However, I have attempted to print the pattern 3 times and all of the “size guide lines” are not printing. Most of the sheets are printing the outline only. What am I doing wrong? I was hoping to make these tonight. Have you tried to piece together any of the print-outs yet? You will see that the side, curved edge and most of the bottom edge for both the Front and Back pieces of the Shorts pattern are drawn with one solid line for all sizes. 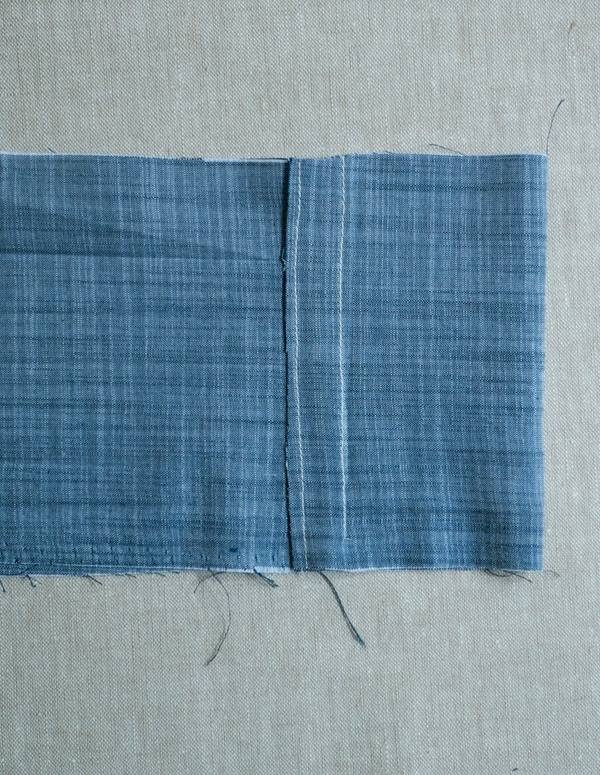 The variation in sizing is mostly done in the inseam and along the top edge. If you haven’t yet, I recommend piecing your print-outs together and see how they come together, the pieces you have without the sizing lines may not be an issue. If they still don’t look right, it might be a problem with the print out itself. Some of our other readers have had this type of issue. We have found that the secret is to first download the pattern and then print it. Rather than simply clicking the link and opening the PDF in a browser window, you should click on the pattern link using the â€œright clickâ€ or â€œcontrol clickâ€ option on your mouse or keyboard. This will give you the option to â€œDownload the linked file.â€ Once the file is downloaded, it should print like a charm! Please let us know if you have any other questions as you work on this pattern. I’m so glad you enjoyed working on the pattern! And, thanks for the tip on the bias tape! 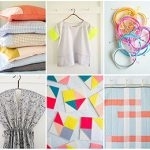 Easy to make, sew up quick, and would be even quicker if I owned a bias tape maker! Thanks for such an awesome freebie! I loved the pattern , first time making bias tape but fumbled through it. Thank you! Hmm, does it matter how this pattern is laid onto the fabric? I’m still new to garment sewing, and learned about how dresses, in particular, can drape over the body oddly if not cut parallel to the grain yadda yadda! Is that the case for these shorts? Thank you so much for your help! This is a great question! Generally, the rules that apply to dress sewing will apply to almost all other garments. For most patterns, you want the grain line (parallel to the selvage edge) to run up and down the garment, and the cross grain (perpendicular to the selvage) to run across the width of the garment. There are of course some exceptions when working with full skirts, knits, prints, etc. 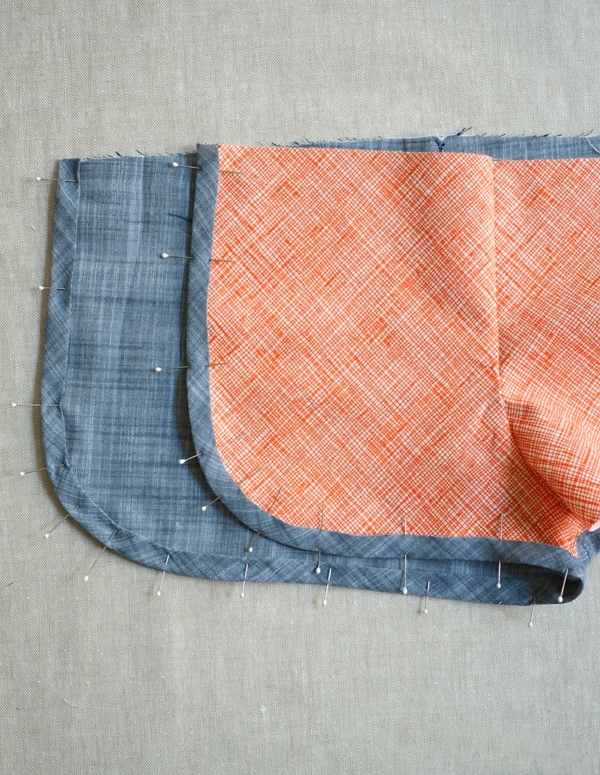 For these Shorts, you will want to cut the Front and Back pieces so that the straight side edge runs parallel to the selvage, and the bottom edge runs perpendicular to it. Hi there, thank you for the free pattern. Which way should the grain run on the waistband? Mine won’t fit lengthwise as my fabric is only 110cm wide. So my only option is to cut it crosswise. Is this okay? (I hope I have explained it right!) Thanks for your reply! This is a great question. I cut my Waistband cross-wise, from selvage to selvage, but if this is not possible with your fabric, you should have no problem cutting it parallel to the selvage edge. 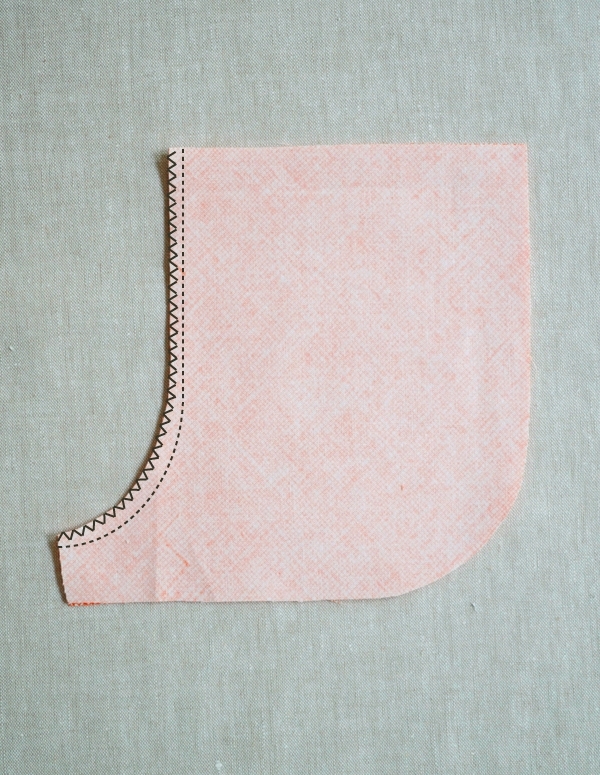 Alternatively, if you don’t have the length for this, you can also cut the waistband in two equal pieces (adding 5/8 inch to each piece to accommodate seam allowance) and piece together. 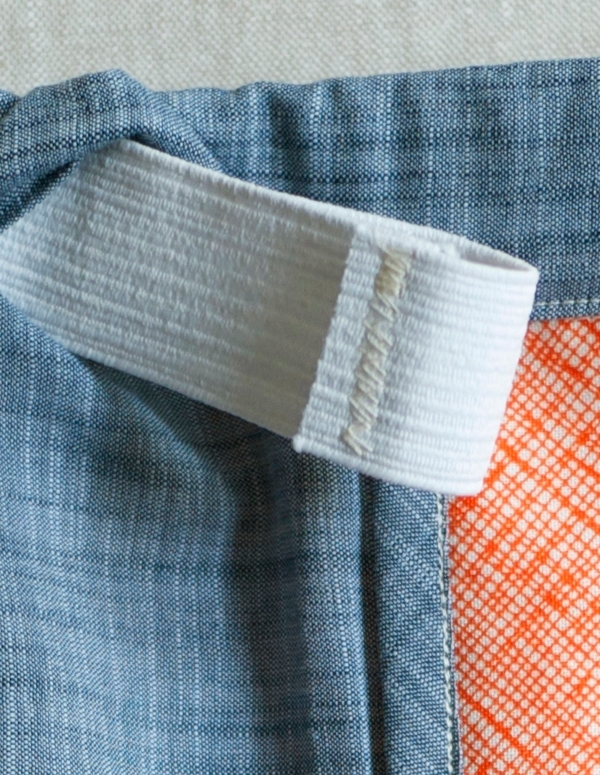 If you do chose to do this, I recommend lining up the waistband seams with the two side seams of the Shorts rather than with the front and back. Hi. I made these and absolutely love them. I’m quite a big girl though so i did have to extend the pattern to fit my hips but the way the pieces fit together made this very easy. thank you so much. Hello Grace! We’re so glad you made the pattern work for you! Thank you for these gorgeous shorts pattern. 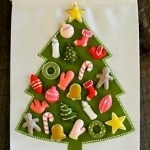 I will make some for my daughters and my grandchildren. Leider finde ich das tolle Schnittmuster nicht. Steht es nicht mehr zum Download zur Verfügung? Der Link dazu, lässt sich nicht ankliken. Thank you for writing in! Unfortunately, none of us speak German well enough to respond to you in your native language, I’m sorry. However, I think you are asking about the links to the pattern pieces. I’ve checked the links to the pattern PDFs in the post and they seem to be working. You can find the Pattern PDF for the Kids’ pattern at the end of the Kids Materials list, and the Pattern PDF for the Women’s pattern at the end of the Women’s Material list. Please let me know if these continue to give you trouble. These are the cutest shorts! I am anxious to try making a pair for myself and 2 daughters. Do you have any other suggestions for a great fabric in place of the Tana Lawn? It is a little out of my budget. 🙂 Thanks for any input! Thank you for writing in! 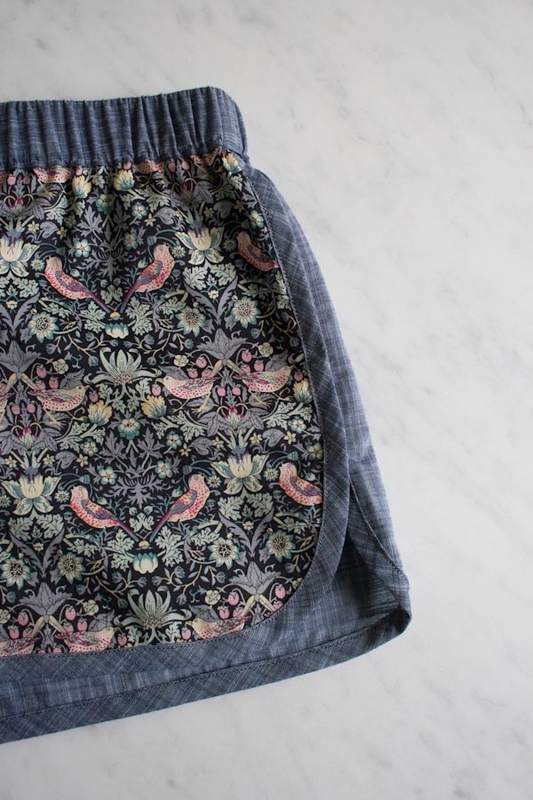 We have some great options for these shorts! If you’re looking for fun patterns I recommend Penny’s Dollhouse, Hints of Prints (these are on sale! ), Botanics and Architextures or Luminous Yarn Dyes. 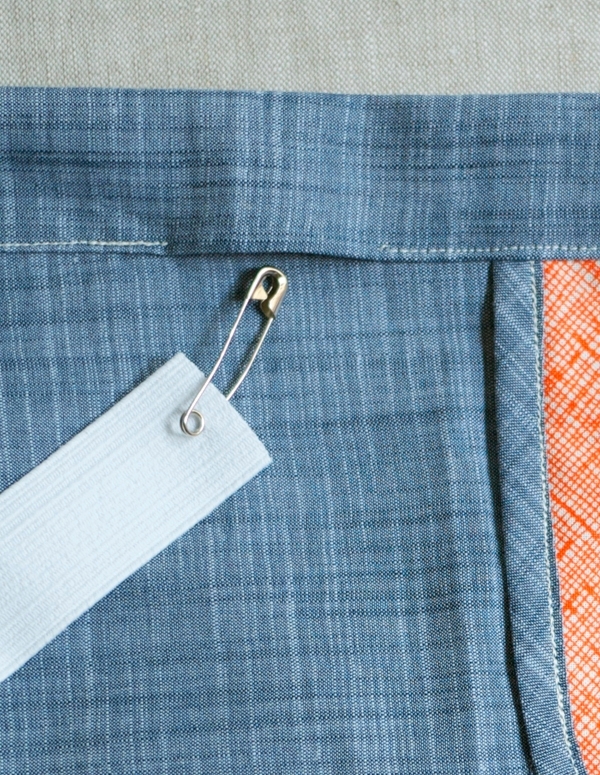 If you don’t mind solid colors I recommend Kona Cotton, Chambray Union or Chambray Pin Dots. Please let us know what you think! Excited to make these shorts! I have a question on the numbers in parentheses. Are those yardage requirements for the different sizes? As in sizes 33 – 40 would require 3/4 yard for that pattern piece but sizes 41-46 would require 1 yard? Then sizes 33-40 = 1 yard and 41-46 = 2 yards for the next pattern piece? Yes! You’ve got it right. The numbers in the parentheses correspond to the different sizes. For example, if you are making the first size in the list, you will always use the first number in the list in the fabric measurements. I hope this helps! Please let me know if you have any questions about specific sizes or measurements. Great question! We love our version with the slightly heavier chambray on the back and the lawn on the front. We have seen versions using a lighter fabric for both the back and front that have held up very well. I think that any way you go, so long as the fabric is not too much thinner than a lawn, you should be good to go! I am frequently touting your wonderful site to everyone! If you notice traffic from Nova Scotia, that’s perhaps why. Love the shorts! They will be the featured item for all 5 sisters at our annual sister retreat in Montreal. Great instructions and fit! Hi! I downloaded the pattern as you suggested before printing; however, I cannot get the dotted lines to print as well. Would you send me the modified pattern as well please? Thanks for writing in to us! I’m sorry this ins’t printing! I could send you the pattern, but it would just be the same as the one on the website. Could it be that your printer settings are off? Also, try printing just black and white. Let me know how it goes! Thank you for sharing your photos, Katja! Great work! Made several pairs for my daughter over the last week. The first pair was a bit too snug (I went with her waist measurement to pick the size), so I went up a size and the next pairs turned out great. Lightweight dark denim front and back with bright patterned bias tape and waistband. So cute! Thanks for the great pattern! Can I use the pattern also for a pyjama pant? I’m worrying about the edges where the two sides with the bia tapes come together – is this still thin enogh not to hurt when lying on it? Wanted to use a single jersey fabric. This sounds like a great idea! I don’t think that the overlap of the bias tape will be noticeable at all — especially in a jersey fabric. Best of luck and happy sewing! 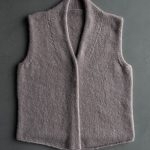 I have looked and looked on this page and cant find a link to the pattern and can’t find it in the shop either. Is this pattern still available? and is it a free pattern? Thanks so much, love these and hoping to make a few pairs for my daughter. Please excuse my ignorance but it’s hard to hide!! What/where is the pattern link? 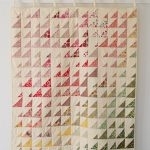 I really want to print this pattern but just cannot figure out how to do it. Do you have instructions for dummies? depending on which pattern you are doing, either kids or women’s if you scroll down to materials for kids the link to the pattern is the last bullet point. For the Women’s pattern it is also the last bullet point, just right click or control click where it says template available and it will give you the option to download the linked file, once that is done you are ready to print the pattern. Hallo, i can not find the dounload link. Is it expired? I know this was a couple years ago. But maybe just maybe someone will respond! Has anyone done this pattern in a sweat fabric? Also I am sort of new to the fabric world, does the cotton recommended have any stretch? I was hoping to use some French Terry I have to make up some shorts. And then was planning on ordering some more as I have lots of cotton Lycra however I think that might be too stretchy! Just wondering what I should order. I am from Canada so hoping to shop locally to avoid the custom costs! Thanks for writing in! We used a woven fabric here with no stretch. 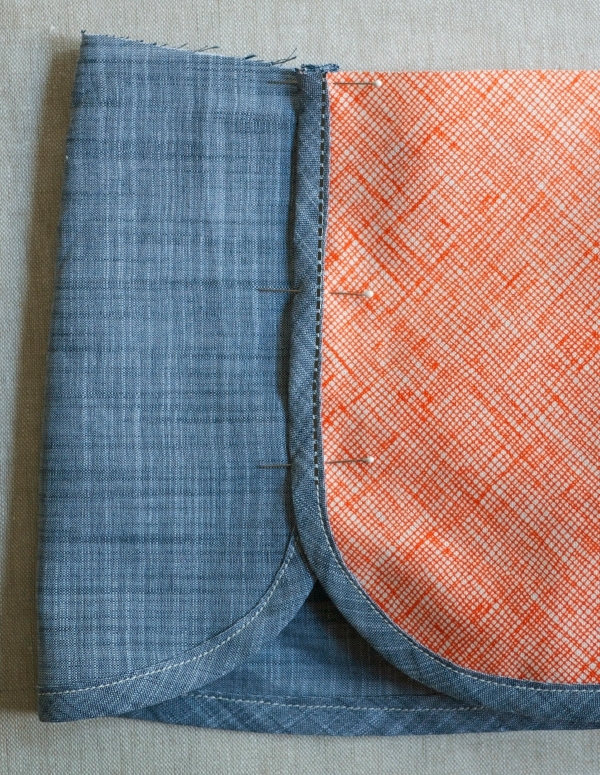 Working with stretchy knit fabrics is very different than working with woven fabrics. 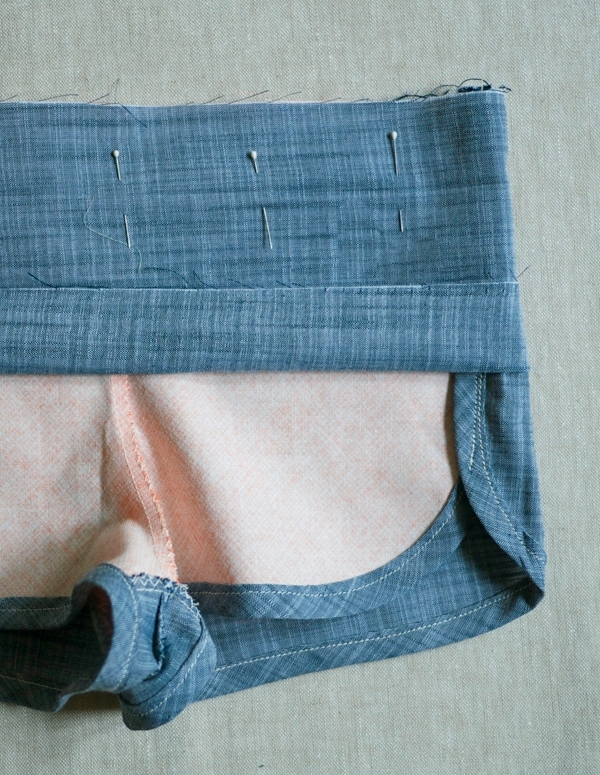 You will need to be sure not to stretch the fabric as you sew it with your machine. This can be a bit tricky but it is accomplishable. I would suggest checking out some YouTube tutorials regarding working with knits on a standard machine. 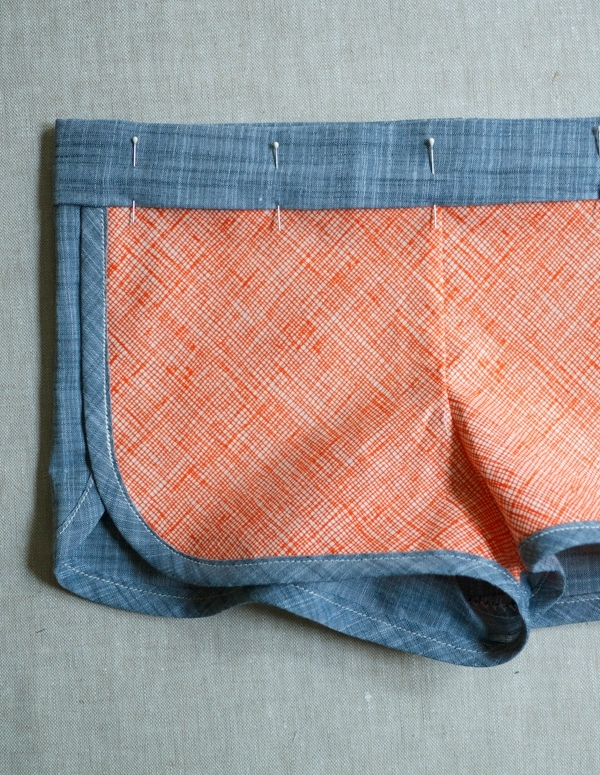 Additionally, the construction of these shorts uses bias tape along the edges. 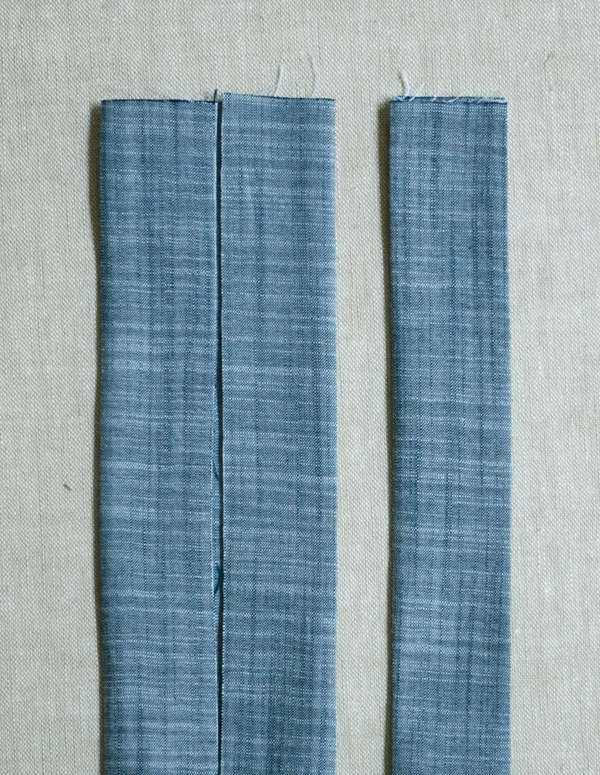 Bias tape is generally made out of a woven fabric and as such will not stretch. That is to say that when used in combination with a knit, it will prevent the knit from stretching along the parts where it is present. You will need to get knit bias tape if you use a knit. Hi, sorry if this has been addressed somewhere but I don’t know if I’m doing this wrong or if I’ve mucked something up. I went with the largest size as I’m new to sewing and really prone to having things end up a bit small so it usually works out, and that would have been two sizes higher than I needed. Unfortunately, I can’t even get the waistband over my thighs. It doesn’t stretch far enough though the elastic and waistband ought to both be big enough. Is this something I’m doing wrong? Did I misunderstand something? Thanks for writing in and I am sorry to hear that you are having difficulties! I am not quite sure what could have happened. When you printed the pattern, did the square on the first page measure 1″ in both directions? If the pattern printed smaller, this could be the problem. Additionally, using larger seam allowances than listed can make the shorts come out a bit tighter but not as tight as you have mentioned here. Please let us know if either one of these was the issue. Thanks for writing in! 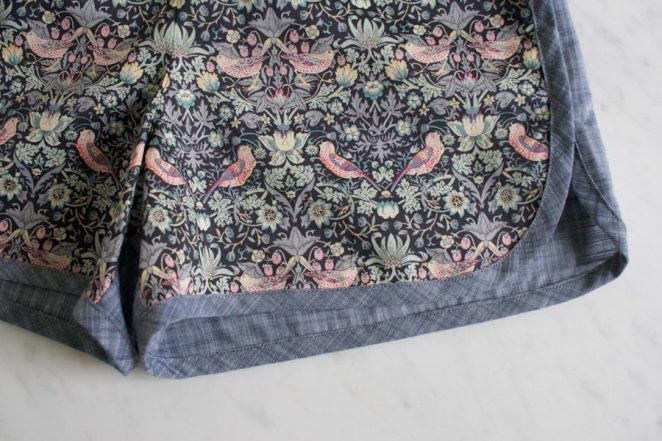 The printed pattern is exactly what we used for this fun shorts! No lengthening or shortening required! 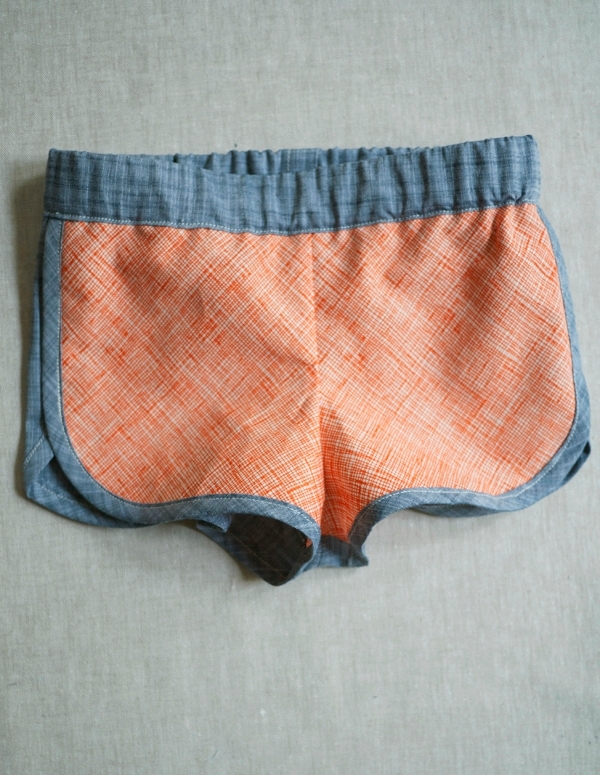 We used a lightweight woven fabric here but we have seen these shorts made from many different fabrics. Quilting Cotton would work fine for this pattern as drape is not really an issue. Quilting Cotton tends to be stiffer than light weight woven fabrics and thus be an issue when making a drapey blouse of dress but in this application should work just great! Hey. Is the requirements for the bias tape in with the amount of solid fabric needed? Meaning if i buy a yard of fabric will there be enough for the back pattern piece and bias tape? Thanks. Cant wait to make them. Thanks for writing in! The yardage for the solid fabric does include room to make the bias tape! Love these! I couldn’t find any shorts I liked in the shops but I came across this pattern. I made them in a stretch sweatshirt fabric and will make a few amendments to the pattern for the next pair. My daughter also wants several pairs! Very easy to follow tutorial, thank you.